Our friend and contributor Linda Spangle has a new book out this week. 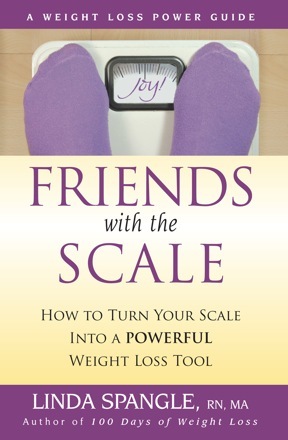 "Friends with the Scale" presents a smart, practical approach that helps you completely change your relationship with the scale. We received an advance copy last month and the book is amazing. For details about ordering the book (also available as an app) and special launch week promotions, please visit the link above. Hmmm, anyone up to another read along? I would not want to lead it but I would love to participate in one. I've ordered the book and I am eagerly awaiting it's arrival. Making friends with the scale and having it be a powerful weight loss tool would be great! Just started reading this book and it's wonderful. I've been angry at my scale my whole life. This approach really helps with the obsession with the numbers on the scale. Good for any dieter with the same problem. I've looked at the table of contents and it looks like it would be a great book.